Home » Physicians » Hugo H. Davila, M.D. After completing his Research Fellowship, Dr. Hugo Davila served as Chief Resident in Urology from 2009 to 2010 at the University of South Florida Health Center in Tampa, FL. He then became the Director of Urology at St. Joseph Health Center in Tawas, Michigan before joining Indian River Urology, with locations in Sebastian and Vero Beach. He is an active staff member at Sebastian River Medical Center and Indian River Medical Center. Dr. Davila provides a wide range of urologic services and treatments, some of the most common of which include laser, percutaneous and shock wave lithotripsy for kidney stones. He also has a special interest in robotic surgery in kidney cancer and female reconstructive surgery and has treated more than 200 cases with minimally invasive procedures using robotic and laparoscopic approaches. 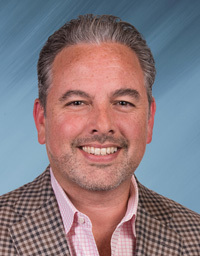 Dr. Davila is a dedicated physician/researcher and has served as a Reviewer for, and been published extensively in, such prestigious journals as Biology of Reproduction, Journal of Sexual Medicine and Journal of Urology. He most recently co-authored a manuscript about Robotic Assisted Radical Nephrectomy, which was published in the June 2016 edition of the Journal of Robotic Surgery. Always focused and involved in bringing the latest advances into his practice, Dr. Davila spearheaded a physician Journal Club, in which doctors from a range of specialties meet regularly to discuss new evidence-based treatments and approaches that promote the implementation of new knowledge into practice and improve patient outcomes. His personal interests include motorcycles, travel, soccer, computers, music and movies. Robotic-assisted laparoscopic radical nephrectomy using the Da Vinci Si system: how to improve surgeon autonomy. Our step-by-step technique.Davila HH, Storey RE, Rose MC.J Robot Surg. 2016 Sep;10(3):285-8. doi: 10.1007/s11701-016-0608-6. Epub 2016 Jun 7.